Throughout its tenure, the Buick Park Avenue's styling leaned towards classic American luxury. The second and final generation of the vehicle, which debuted for the 1997 model year, included new features such as rounded exterior edges and tight fender peaks. The new design was also slightly longer and wider, with an overall length of 206.8 inches and width of 74.7 inches. The 2nd-generation Park Avenue was also shorter than the previous design, with a stature of 57.4 inches. The Park Avenue was built on the GM C-body platform, which has also been used for the Buick Riviera, Buick LeSabre, Cadillac Deville, Cadillac Seville, Oldsmobile Aurora and Pontiac Bonneville. 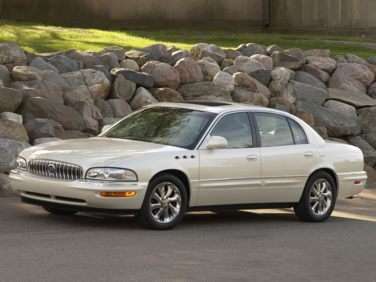 In 2003, a facelift brought a more menacing front grille and trademark Buick ventiports. The 2004 Buick Park Avenue was the last Buick sold in America to include a factory hood ornament. The Buick Park Avenue was available in two trim levels – base and Ultra. The base model came standard with a 3.8-liter engine that delivered 205 horsepower at 5,200 rpm and 230 lb-ft. of torque at 4,000 rpm. The engine was mated to a 4-speed automatic transmission that offered EPA-estimated fuel efficiency of 20 mpg in the city and 29 mpg on the highway. Standard features available on the base model included air conditioning with dual-zone automatic climate control, leather-wrapped steering wheel with radio controls, leather seats, 10-way power front seats, power steering, full power accessories, cruise control, remote keyless entry, automatic headlights, theft-deterrent system and automatic level-control suspension. The Buick Park Avenue Ultra offered ultra luxury features both under the hood and in the cabin. The top-tier model boasted a supercharged 3.8-liter V6 engine that yielded 240 horsepower at 5,200 rpm and 280 lb-ft. of torque at 3,600 rpm. This engine was paired with the same 4-speed automatic transmission found on the base model. EPA-estimated fuel efficiency was 19 mpg in the city and 28 mpg on the highway. Additional features available on the Park Avenue Ultra included wood grain trim on the steering wheel, heated front seats, driver memory system, heated mirrors with turn signal lights, automatic day/night mirrors, upgraded sound system with CD player, rain-sensing windshield wipers, 17-inch alloy wheels and a Gran Touring suspension. Both Park Avenue trims came standard with dual front airbags, front side airbags, 4-wheel antilock disc brakes and daytime running lights. The Ultra trim also added traction control. An antiskid system and rear-obstacle-detection system were both available as optional upgrades. In NHTSA crash tests, the full-size sedan earned four out of five stars in all applicable categories.